Cristina reality checks some common misconceptions about Daylight Saving Time. Darren looks at recent headlines about a male birth control study which was stopped due to adverse effects. EarthSky: DST Worth The Trouble? I have been loving your podcasts and wondering how you were able to do all that reasearch. But this werks was weak, and makes me wonder about some of your previous statements On DST, I would have expected you guys to look beyond North America or at least focus on the concept and or go beyond the surface. Time is a construct, as much as DST is, and if a number of countries do not use it, what about those that have moved permanently one or two hours hours ahead? They no longer change but moved ahead their assigned time – there might be benefits. You stated that there were problems with DST, but my bet is that the problems you used are with the changes, not DST – To be transparent, i would like to stick with DST year round, and even, why not, then move 2 hours ahead in the summer. Love my 10 pm sunsets in the summer and would love to come out of work with some light in the winter. And think about it, Gaspé and Sault Ste Marie share the same time zones, yet Fredericton, which is west of Gaspé is one hour later. 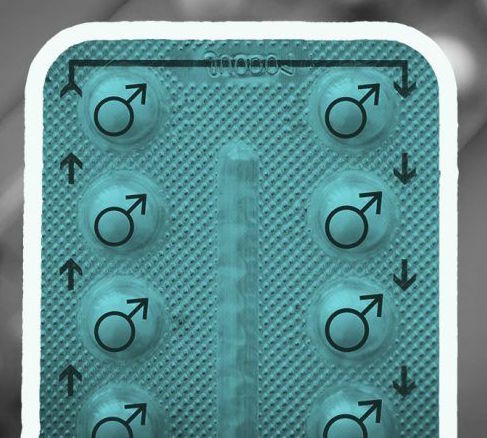 And on the male injectable contraceptive, you would have needed to look at the research that went into female oral and injectable contraceptives to be able to determine whether the coverage you referred to was fair or not. Yasmin in the 90s… And look at the horrendous side effects endured by women, especially in the 60s… Maybe a show redo is in order? I’ll let Cristina speak to DST but I’m not sure time is a construct as much as DST is. Aside from philosophical discussions about whether time exists, it does seem that (at least some of the time) time is linked to our rotation and our internal circadian rhythms. Our internal clocks seems to be counting something, while DST is a manipulation of our socially agreed upon notions of time. Which may, as you said, cause problems (to our internal clocks) due to the shift. As for your comment about the female contraceptive, I don’t agree. My main reason is that I don’t think it is valid to compare research protocols and practices from 50-60 years ago with what we see as appropriate today. I had a line that the history of the female pill was terrible (not sure if it made it into the final show as I haven’t listened yet), so I’m aware it was much worse. But that’s not the point. There are greater and better ethical standards for how we treat study participants and how we value their health. That’s how it should have been in the past and it is saddening it wasn’t. I believe so many decades ago is when we were still sterilizing ‘retarded’ people. That was horrible and it is important to know, but it isn’t like that should be used as useful comparison for ethical standards now in a research design. Also, a general constraint on our end, is that typically for the longest segment of the show, it is max about 10 minutes. So, I didn’t have time to do a segment on the female pill also (like I indicated might be useful in my segment), but I did address the main claims, showing they aren’t supported or are being mischaracterized. Time would exist without humans but the clock and calendar are surely social constructs. While I think shifting would suit me I’m not sure what it would ultimately do. Shift by two hours and wouldn’t people just adjust to that new schedule? Humans created the 24 hour clock but they’re also the ones who decided when it was the best time to get up and work based on it. 9-5 wasn’t created by farmers. People can get up at 4am and go about their day, eating earlier or whatever. Hey Mireille! Thanks for the note. As Darren points out, it can be a challenge when we have show time constraints and ‘going deep’ is not always feasible. That’s why I often suggest listeners check out show notes for more info. Having said that, the focus of my segment was specific to what misinformation I saw people posting. So I wanted to give a short history of DST, and highlight some of the more pervasive misconceptions and why they don’t seem to stand the test of time (no pun intended). – C.